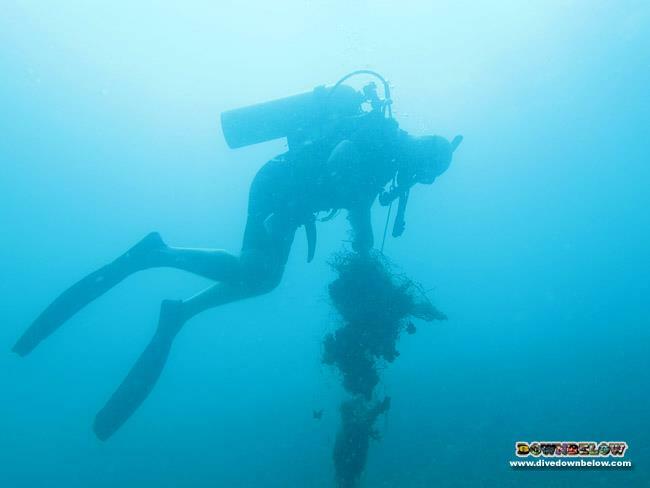 Although our PADI 5 Star IDC Dive Centre is in Tunku Abdul Rahman Marine Park, we still find illegal nets entangled on our favourite reefs every now and then. Thankfully this has been rather infrequent recently. That said, we did stumble upon 2 nets over the last couple of days, and of course they need removing. Making good use of the situation, resident PADI Course Director Richard Swann gathered the diving professionals at our dive centre and conducted a net removal training session to enable them to organise and carry out their own net removals. Ready for action, the Net Removal Hit Squad, lead by Richard, included Jess, Wellson, Bob, IDC Interns Shevy and Paul, with James filming the operation. The thorough planning and briefing session was followed by one 65-minute dive during which short work was made of the net entangling the reef. No marine life casualties were recorded, and a friendly stone fish was released along the way. All the participants were encouraged to create a Project AWARE My Ocean profile to record their participation and spread awareness. Downbelow’s Assistant Base Leaders, Bob & Wellson, will quickly have an opportunity to practice their new knowledge, because they’re leading the planning for the remaining net. Join our Facebook page for more photos of this event.